As much as I love waking to the sound of rain on the tin roof, on this particular day it wasn't such a good thing. 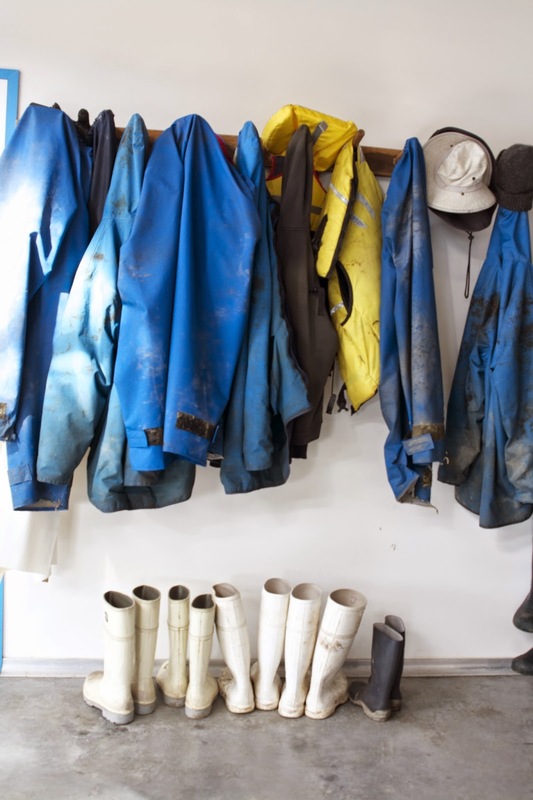 I had lots of outdoor plans for our visit to Bruny Island that day. Oh Tassie spring weather, you wild and crazy thing, you. I had to rejuggle a few planned outdoor and water activities for my second day showing Katie Quinn Davies my favourite Tasmanian spots, but we we would still manage to see, and most importantly, eat a lot. First thing I made a call to Kate at Satellite Island, a private island between Bruny and the mainland (Tasmania). We had planned to visit for a few hours, explore the island on foot, before settling down to a picnic on the white pebble beach. Sadly the the weather had other ideas, so this part of our journey was aborted. I will get to Satellite Island one day soon and hang out here, lucky there are lots of pics on instagram in the meantime for me to drool over. Nevermind, onwards and upwards. We drove to Kettering to catch the 9:30 ferry to Bruny Island. The huge ferry you drive onto to get across the channel. 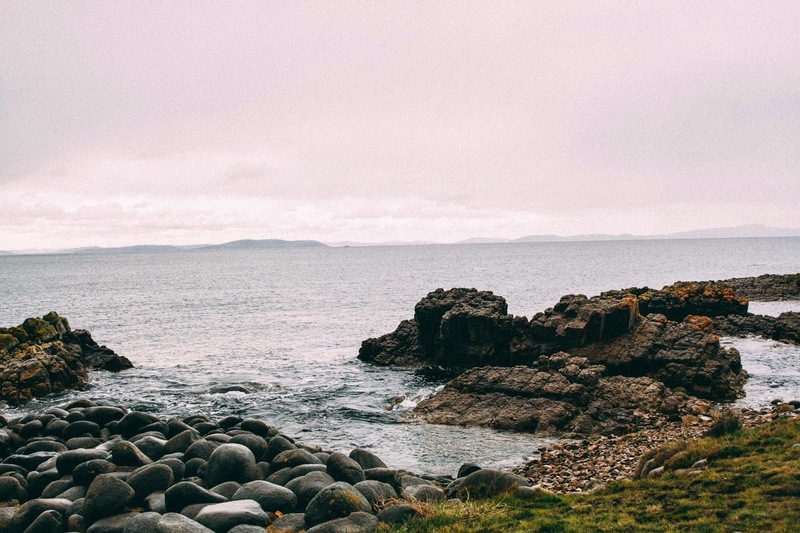 On your short journey you might catch dolphins or penguins frolicking in the water. When you reach the other side you leave all your cares behind and breath in the loveliness. 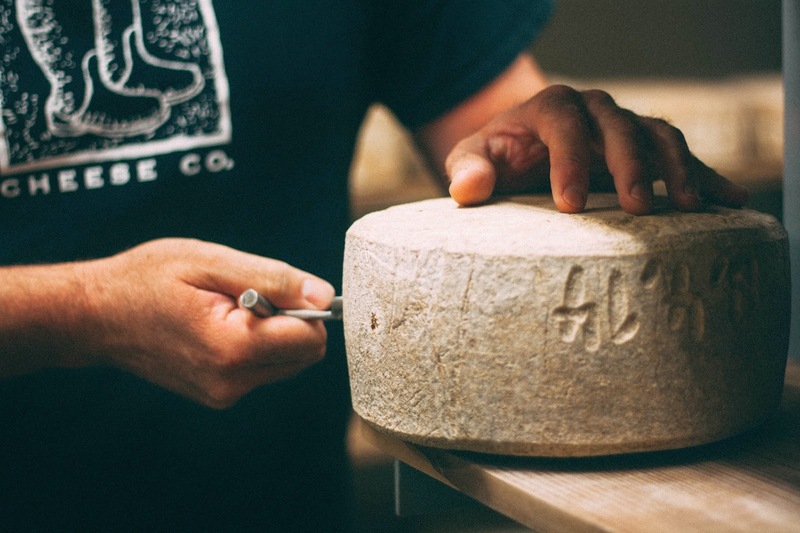 We drove straight to meet Nick Haddow from Bruny Island Cheese in Great Bay, about 15 minute drive from the ferry. On arrival, Nick served us a much needed coffee and thick slabs of sourdough toast with butter and jam. A breakfast of champions. Then we headed out the back to don fancy white hairnets, fetching white gum boots and some cool black cheese making clothes. We were going to make cheese! The first thing I noticed in the cheese making room was the great music - those cheese makers like it loud. It was pretty steamy in the room too, with a huge vat of milk being cooked into curds. 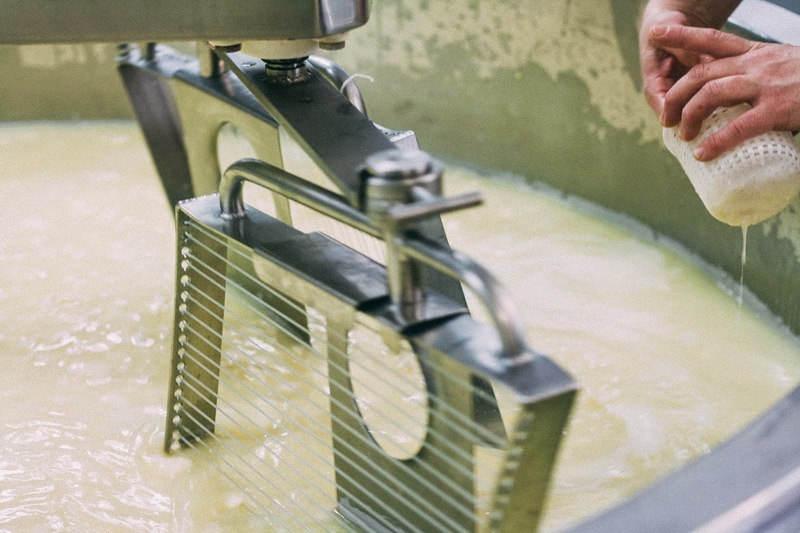 It really is fascinating to watch how physical cheese making is. The lifting, scooping out the curds from the huge vat into moulds. Those cheese makers are really fit! 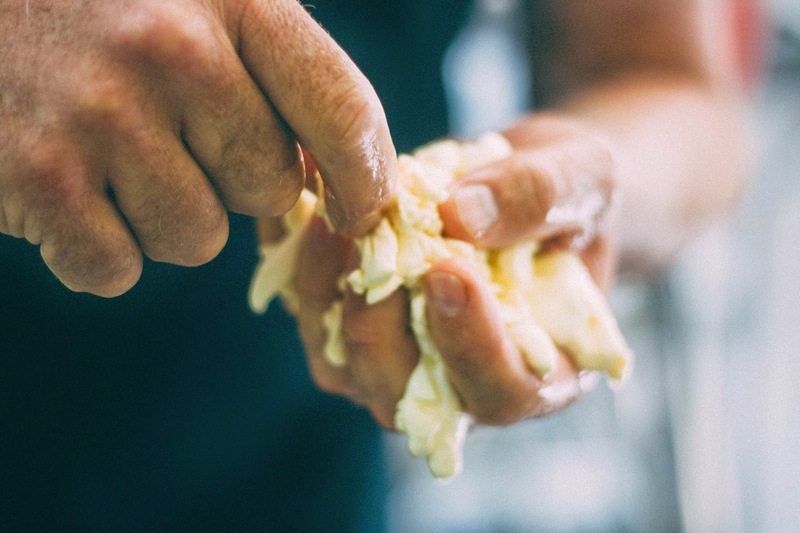 The curds were drained of their whey, which is collected and sent to a local free range pig farmer. 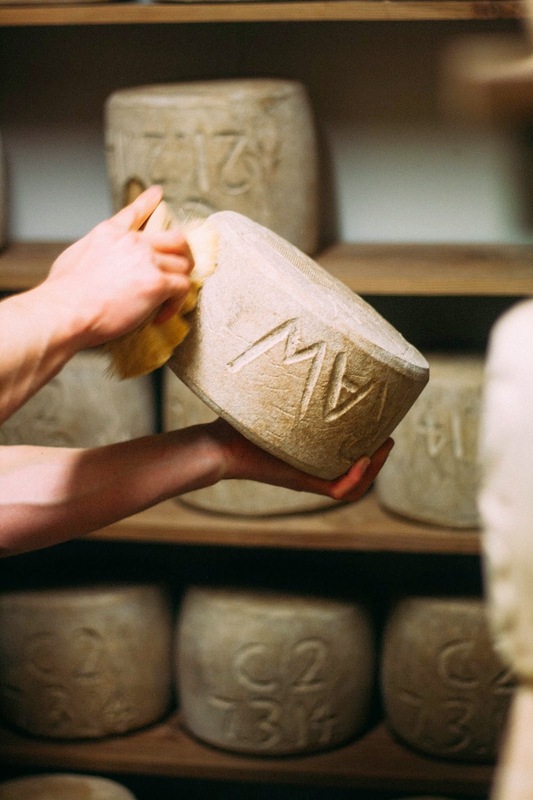 Each cheese has its own room to mature in and each one is lovingly washed and turned daily, or the harder cheeses brushed regularly for a healthy glow. The love that goes into each cheese is remarkable. Hence the remarkable flavour. BIC has a cheese club and you can get the cheese delivered to your door each month - Australia wide! Read about it here. After removing our cheese makers outfits, we optimistically packed a picnic of fine Tasmanian foods from the cheese cellar door and Nick drove us to nearby Murrayfield. 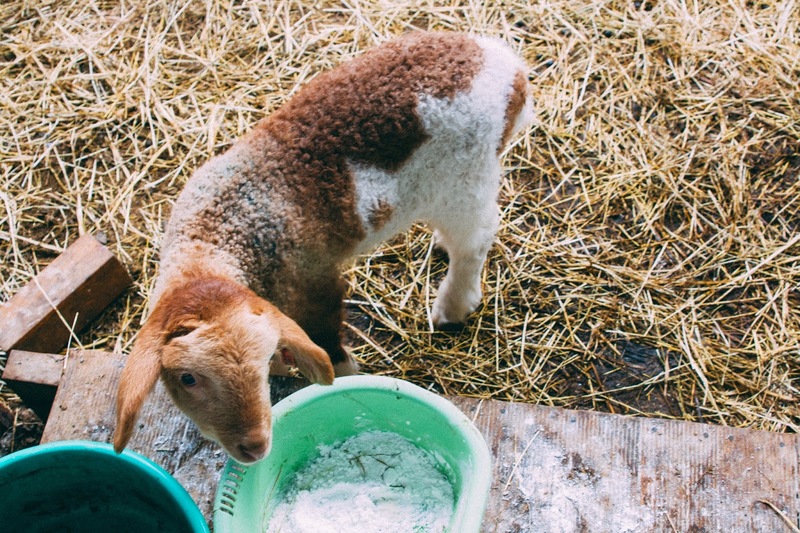 A vast picturesque sheep station right on the Bruny coast with lush green meadows filled with daffodils and frolicking lambs. The weather was pretty grim but still it was a picturesque drive, through paddocks and along rocky coastlines (see first pic). We then headed to The Neck, a thin stretch of land that joins the north island to the south island. There is a huge set of stairs to climb that takes you to that the iconic Bruny Island view - but no one wanted to get out of the car because of the weather. Soft! We headed back to the cheesery where it is cosy and warm to eat deliciously scorched wood fired pizza. Nick told us of his future plans for the business, of adding accommodation and more hands-on experiences for visitors. Can't wait! 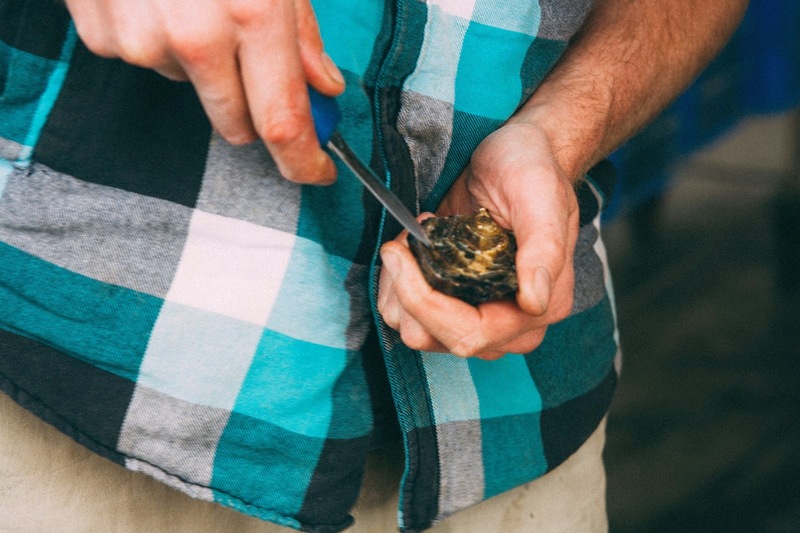 Next stop was to visit oyster farmer Joe Bennett from Get Shucked. I am a mad keen on those tasty bivalves, and couldn't wait to get there. 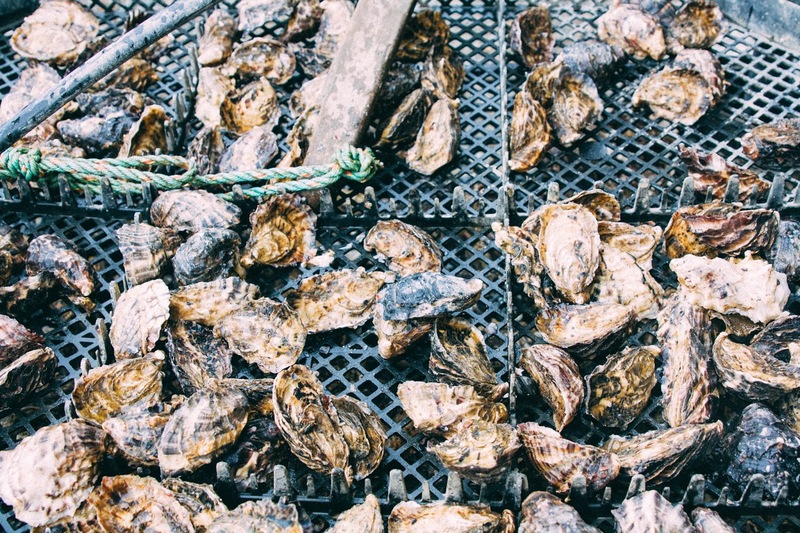 Joe recently opened an onsite oyster bar that boasts a drive through window - hello! A world first. Yep, you can buy a dozen of those babies without leaving the comfort of your car. Joe pointed out his farm, just across the water, and explained how the oysters are harvested in the morning then packed into hessian sacks and sent off to the mainland or the bigger mainland each day. Those fresh shucked oysters were so creamy and delicious, lucky for me Katie's not such a fan so I had more than my fair share. We made a dash for the ferry back to Kettering, and with extra time up ourselves, I took Katie south for unscheduled visit to Grandvewe Cheeses. You can never have enough cheese in a day, right? 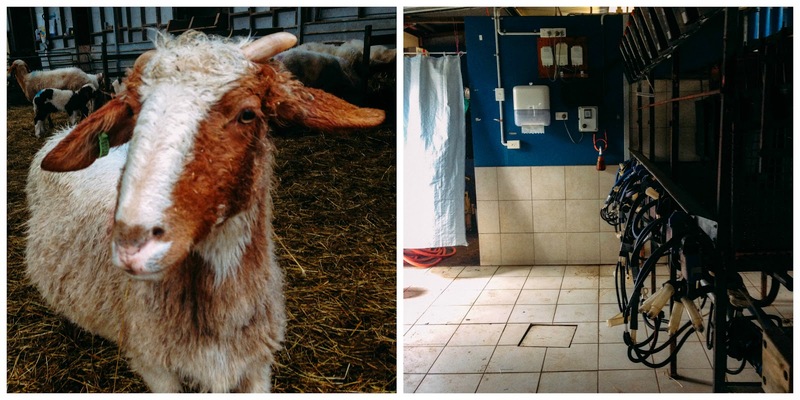 Grandvewe makes an impressive range of sheep milk cheeses, my favourite is the pecorino, but I also loved the fact that you can walk though the milking shed and into the lambing shed. It was full of spring lambs and we saw one that had been born just that minute. Incredible! By now it was getting close to wine o'clock so we headed to Peppermint Bay for a glass of wine and to watch the view in the last of the lingering daylight. Peppermint Bay is a favourite spot of mine 30 minutes south of Hobart on impressive grounds that overlook the channel. 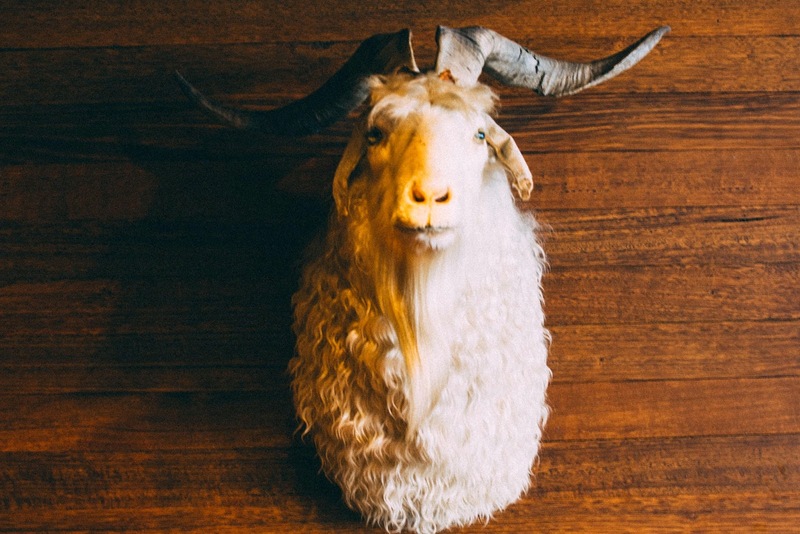 My favourite thing to eat on the menu is a slow roasted shoulder of lamb that takes 45 minutes to arrive and feeds at least 4 people, the best thing for a long lazy lunch. Honestly, it's worth the drive alone just for that dish. We weren't that hungry so settled for house made pickles and a big bowls of spaghetti with chili, guanciale and tomato washed down with a Tassie pinot. Perfect. I dropped Katie off at her night's accommodation at Hillside at Woodstock and headed home. The next day I'd be showing Katie around my home town of the Huon Valley! Stay tuned for more deliciousness! Here are the links to all the places I mentioned in one handy location for you! Bruny Hotel - a great pub with delicious casual menu of local produce - my kids love it! 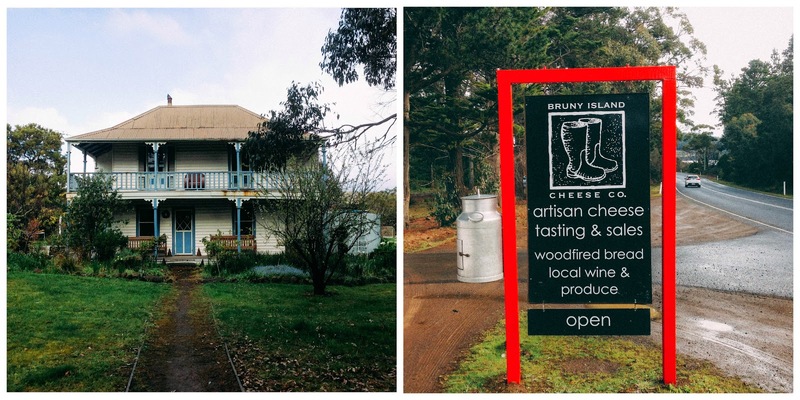 Bruny Island Foods - Ross doesn't have a retail space on the island but has a stall at Hobart's Farm Gate market most Sundays, and some stuff is available at the abovementioned vineyard. Need more? Plenty more images on social media by searching #discovertasmania and also read the updates on Behind the Scenery online magazine. 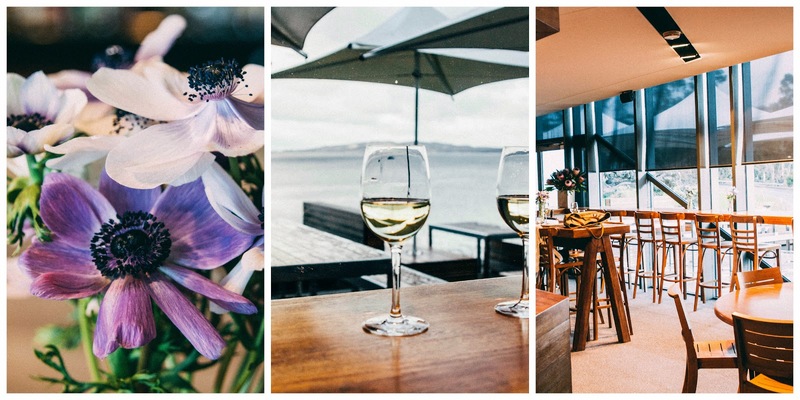 This is part two of series of posts I am writing for Tourism Tasmania about a three day visit with Katie Quinn Davies from What Katie Ate. Here is part one. As I think I said on the previous post...best tour ever! I recently drove myself to Woodbridge to collect some plants from Woodbridge fruit trees and visited Grandvewe cheese for the first time. As it was a grim day outside, I decided to have a cheese plate with a glass of wine and soak in the surroundings. So good to have access to this wonderful sheep cheese. Enjoyed your travel journal.